Earlier this year, the HBO series True Detective reignited interest in the 1895 “weird” literary work The King in Yellow by Robert W. Chambers. The book references a strange, lost city called Carcosa, which was borrowed from a short story published in 1887 by Ambrose Bierce called An Inhabitant of Carcosa. 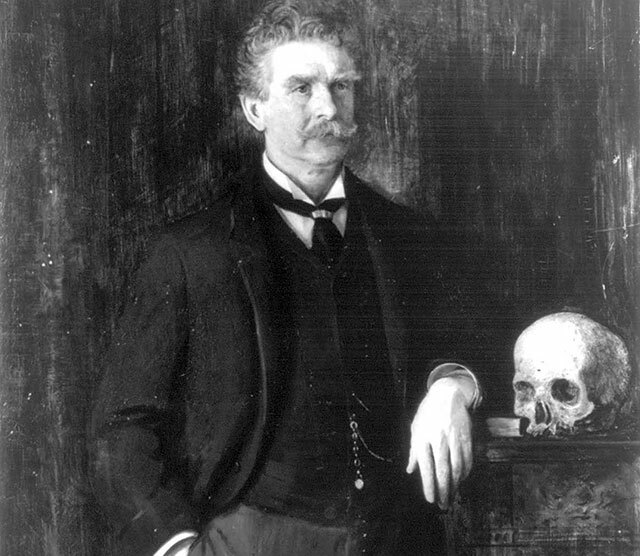 The fate of Ambrose Bierce, it turns out, is as mysterious as Carcosa. I came across an article this morning by Forrest Gander called The Many Deaths of Ambrose Bierce, which recounts the mysterious circumstances of Bierce’s disappearance. In 1913, at the age of 71, the American author and journalist rode off into Mexico to cover the Mexican Revolutionary War…and vanished. Though remains were never found, eye witness accounts detail numerous, separate incidences in which Bierce, the old gringo, found his way to the wrong side of the dirt.